Perhaps the most common and controversial use of coffee enemas is in patients with cancer. One example is the Gerson regimen, a cancer protocol developed by Dr. Max Gerson involving the use of a strict diet, coffee enemas, dietary supplements and juicing. According to a 2010 review in the journal Oncology, “coffee enemas are believed to cause dilation of bile ducts and excretion of toxic breakdown products by the liver through the colon wall”. While widely believed and restated, there isn’t much scientific evidence to support this assertion. Certainly, there are many anecdotal accounts of cancer remission by individuals using the Gerson regimen. The problem is that scientific evidence is lacking for a few reasons. The first is that the Gerson approach involves many therapeutic components. Therefore, isolating the specific effects of any given strategy is difficult to do. Also, peer-reviewed analysis of the Gerson regimen has yet to yield verifiable proof that it actually prolongs survival time. 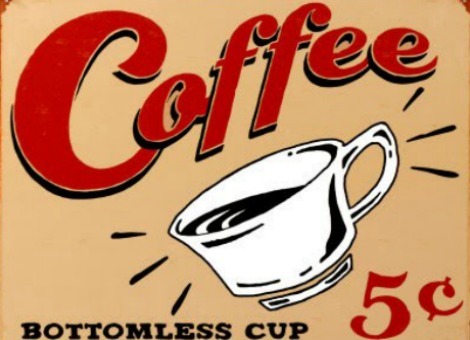 As it turns out, the scant data on the efficacy and safety of coffee enemas comes to us courtesy of researchers in Thailand. Presently, there are two studies in print. One reports that caffeine absorption from a single coffee enema is about 3.5 times less than a single cup of coffee taken by mouth. A second trial examined the antioxidant effects of six coffee enemas administered over a two week period. No beneficial changes in oxidant status (glutathione or GSH, malondialdehyde or MDA and trolox equivalent antioxidant capacity or TEAC) were noted. Lastly, a German study is currently underway which compares the constipation relieving activity of coffee enemas vs. oral coffee. The results from the latter trial are due for publication in the coming months. My personal stance on coffee enemas is that more scientific research is clearly required. Simply put, we need to better understand its safety profile as some cases of harm have been documented in the medical literature. In addition, like it or not, this is a therapy that is being used by many people with serious medical conditions, sometimes at the expense of other modalities. And, frankly, there is at least some rationale to conducting studies on coffee enemas. For instance, we now understand that coffee consumption appears to reduce the risk of various forms of cancer and liver disease. This doesn’t necessarily equate to coffee being a viable adjunct or remedy for cancer and liver disease, but it’s worth investigating. Clin Nutr Res. 2014 Jul;3(2):134-41. Cancer Epidemiol Biomarkers Prev. 2015 May 21. 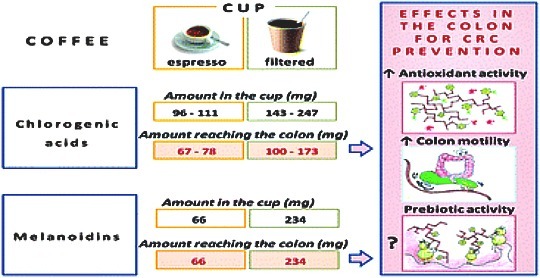 Associations of coffee drinking with systemic immune and inflammatory markers. BACKGROUND: Coffee drinking has been inversely associated with mortality as well as cancers of the endometrium, colon, skin, prostate, and liver. Improved insulin sensitivity and reduced inflammation are among the hypothesized mechanisms by which coffee drinking may affect cancer risk; however, associations between coffee drinking and systemic levels of immune and inflammatory markers have not been well characterized. METHODS: We used Luminex bead-based assays to measure serum levels of 77 immune and inflammatory markers in 1,728 older non-Hispanic Whites. Usual coffee intake was self-reported using a food frequency questionnaire. We used weighted multivariable logistic regression models to examine associations between coffee and dichotomized marker levels. We conducted statistical trend tests by modeling the median value of each coffee category and applied a 20% false discovery rate criterion to P-values. RESULTS: Ten of the 77 markers were nominally associated (P-value for trend<0.05) with coffee drinking. Five markers withstood correction for multiple comparisons and included aspects of the host response namely chemotaxis of monocytes/macrophages (IFNγ, CX3CL1/fractalkine, CCL4/MIP-1β), pro-inflammatory cytokines (sTNFRII) and regulators of cell growth (FGF-2). Heavy coffee drinkers had lower circulating levels of IFNγ (OR=0.35; 95% CI 0.16-0.75), CX3CL1/fractalkine (OR=0.25; 95% CI 0.10-0.64), CCL4/MIP-1β (OR=0.48; 95% CI 0.24-0.99), FGF-2 (OR=0.62; 95% CI 0.28-1.38), and sTNFRII (OR=0.34; 95% CI 0.15-0.79) than non-coffee drinkers. CONCLUSIONS: Lower circulating levels of inflammatory markers among coffee drinkers may partially mediate previously observed associations of coffee with cancer and other chronic diseases. IMPACT: Validation studies, ideally controlled feeding trials, are needed to confirm these associations. J Gastrointestin Liver Dis. 2016 Mar;25(1):63-9. BACKGROUND AND AIMS: Conventional bowel cleansers for colonoscopy have an unpleasant taste and a large volume of solution must be ingested. Coffee increases bowel motility and has an intense flavor. The addition of coffee to a polyethylene glycol+ascorbic acid solution reduces the volume of the solution to be consumed without reducing efficacy, improves the taste of the solution and enhances patient comfort. RESULTS: The COF group had non-inferiority in efficacy (non-inferiority margin, -15 %; lower limit of 95 % confidence interval for difference between success rates, – 4.7 % and -8.4 % from both scales, respectively). Polyp detection rates were 0.48 and 0.60, respectively (P=0.067). Colonoscopic insertion times were 323.6+/-166.8 s and 330.7+/-243.6 s, respectively (P=0.831). Significant improvement was observed with respect to ease of drinking (P=0.012), taste (P=0.026) and preference (P=0.046) in the COF group. Adverse events occurred in 52.4 % and 60.4 % in the two groups, respectively (P = 0.251).